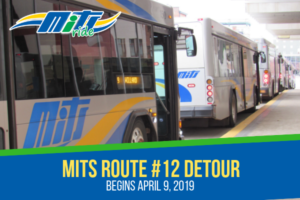 Getting around Muncie, Indiana could not be easier when you ride with MITS (Muncie Indiana Transit System). 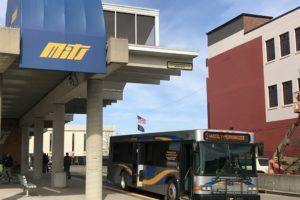 With 14 routes covering the city, our buses can connect you to Ball State University, the Muncie Mall, Ball Memorial Hospital, Ivy Tech Community College, Minnetrista Cultural Center, Walmart, Downtown Muncie, and many places in between. Our MITSPlus service provides door-to-door service for people with disabilities. Use our Plan Your Trip guide to find routes and bus schedules, or call (765) 289-MITS (6487) to speak with our operator. If you are looking for advertising options, then please check out our Transit Advertising opportunities. 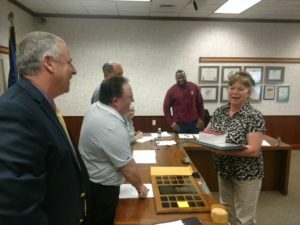 Don’t forget to check our Leadership page for information on the next public board meeting. 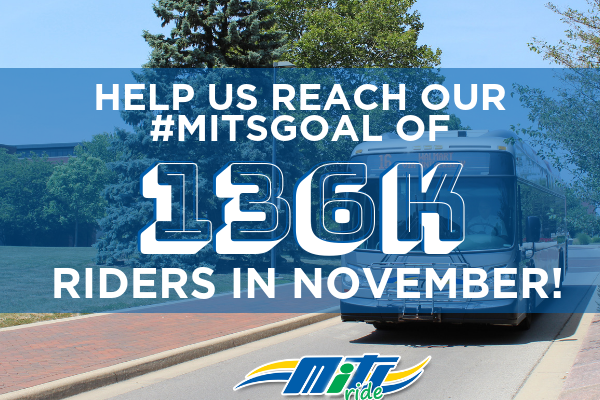 If you would like to join the MITS team, you can find more information about current job openings on our Employment page. If you are a veteran or student, you ride MITS for FREE! Come ride with us!